1x SL-89 L/H large streamline point. 1x SL-88 R/H large streamline point. 6 x Right Hand ST-240. Peco small points. 2x right and 2x left. Used but in good condition. 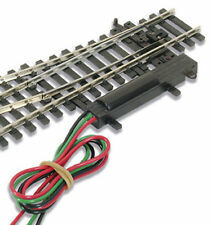 5 X OO Gauge Peco Points.3 x right hand 1 x left hand 1 x set track righthand Condition is unused unboxed. Dispatched with Royal Mail 2nd Class. Peco SL-95 R/H points x2. Used but in good working order. Maybe a slight bit of weathering on them but otherwise good. Second photo is of the underside. Job Lot of 3 x Peco PL-10 Point/Turnout motors. Pre-owned but never used. Still in sealed packaging. Item will be well packaged and sent out by second class post upon receipt of cleared funds by PayPal. It is marked undersidewith Peco Patent Pending and is of the ST241 type. Point spring has beenchecked as satisfactory in use, with clean action. Has a clean base withno ballast attached. Peco Point Motors x 3. Condition is Used. Working. Please refer to photographs. Dispatched with Royal Mail 2nd Class. Peco oo guage three way point. Condition is Used. Dispatched with Royal Mail 2nd Class. 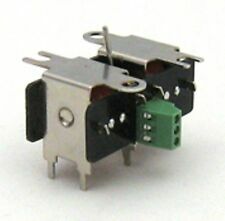 Peco Pl 10 Point Motors X3. Condition is New. Dispatched with Royal Mail 2nd Class.